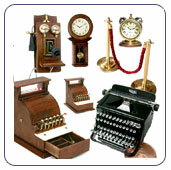 For over 30 years Nancy & A J Quinby, known as Nantasy Fantasy, have been making one inch scale collectibles like miniature telephones, miniature cameras, miniature telescopes and miniature clocks. 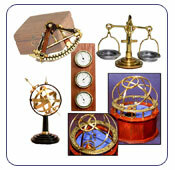 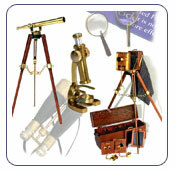 The Nantasy Fantasy site is filled with over 500 unique handcrafted items; miniature scientific instruments, miniature medical instruments and amazing miniature musical instruments. 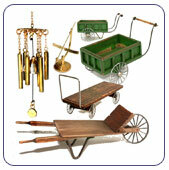 Their choices for miniature office, store and household accessories are many and include garden and outdoor items. 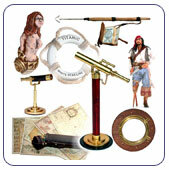 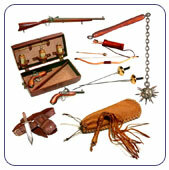 You will find a wide variety of miniature Nautical, Safari, Old West, Native American and Frontier miniatures that includes a superior collection of miniature guns and weapons from many eras. 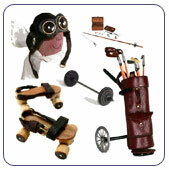 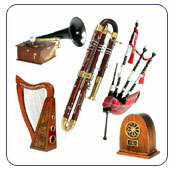 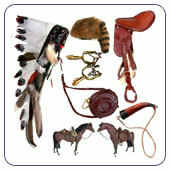 An array of one inch scale personal items such as hats, gloves, pipes, canes, luggage and miniature sporting equipment can be ordered on the site. 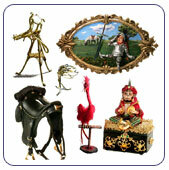 There is also a large collection of one inch scale miniature art dolls, animals, birds, paintings and vignettes on view. 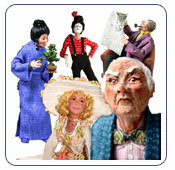 A J Quinby is an IGMA Artisan in the Victorian Antiques category while Nancy Quinby is an IGMA Artisan in Figures. 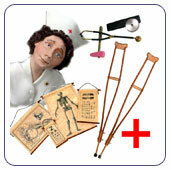 Her miniature character dolls can be ordered here. 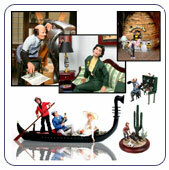 You will also find samples of custom order miniatures and even miniature shrunken heads. 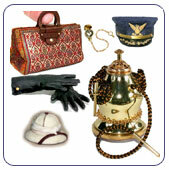 Many of the items would be considered Victorian Miniature Accessories but many other periods are represented including Art Nouveau and Civil War era miniatures. 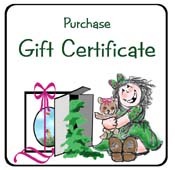 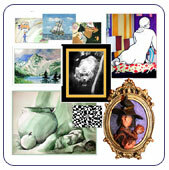 If you have something special in mind please don't hesitate to ask about having a custom miniature art doll or miniature accessory designed for you. 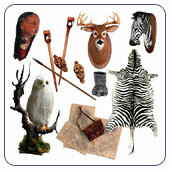 Nantasy Fantasy welcomes you to their family of collectors.